Beggars All: Reformation And Apologetics: Did Luther Regret the Reformation? Over on the Catholic Answers apologetics forum, a participant rhetorically asked if "Luther thought his reformation effective." Then a link to a pro-Roman Catholic blog was given which cites extensively from Henry O'Connor, S.J. : Luther's Own Statements Concerning His Teaching and Its Results (New York: Benzinger Brothers, 1884, second edition). O'Connor's little book is a complete vilification of Luther from the first to last page (see my review here). Luther: Protestants' "Manner of Life" No Better Than That of the "Papists"
Luther: Our (people) are now seven times worse than they ever were before. We steal, lie, cheat, . . . and commit all manner of vices. It's one thing to argue Luther suffered from depression or had a despondency over the state of things, it's quite another to use his words to prove he had a sense of "failure and guilt" over the preaching of the Gospel, or that he was in agony over the Gospel going forth into the world and the trouble he admitted and expected it would cause. Luther wasn't postmillennial. While he was discouraged that the world seemed to be getting worse, his eschatological expectation can be traced back even to the early days of his Reformation work. For Luther, it was the end of the world. Things were indeed going to get worse. The Gospel was going to be fought against by the Devil with all his might. The true church was a tiny flock in a battle against the world, the flesh, and the Devil. He hoped the people would improve with the preaching of the Gospel, he often admitted he knew things were going to get worse because of the Gospel. Here's the big picture, so to speak, in many Romanist minds: the Reformation was a failure and was morally bankrupt. It didn't produce good fruit, nor were its result any better than those of the corrupt church Luther and the Reformers fought against. Luther knew this, and admitted it. He died despondent over the mess he created. Heretics never lead good lives, nor produce good fruit. Since Rome is the true church and the Reformation was a failure, we as separated brethren must reunite with her. Trent cleaned up the situation as well, so what are Protestants waiting for? It's only by being in the true church that someone can attain true holiness. Simply read through Janssen, Denifle or O'Conor. This sentiment jumps off many of the pages. The tensions between Luther and the Wittenberg congregation came to a head in Luther's resolution during the summer of 1545 to abandon Wittenberg and to retire with Katy and his family to the countryside, until he was finally persuaded by the petitions of the elector and the university to return. But though dramatic, Luther's brief self-imposed exile from Wittenberg during the last year of his life was in fact not unprecedented. In 1530, before his departure for the Coburg during the Diet of Augsburg, Luther had announced that he would not preach in Wittenberg anymore, and similar threats, sometimes carried through for several weeks at a time, were repeated both before and after. 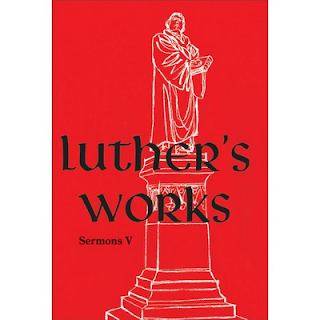 Luther's complaints about the Wittenberg congregation have been taken as evidence of his personal despair at the end of his life and as an admission of the broader failure of the Reformation at the hands of its foremost exponent. 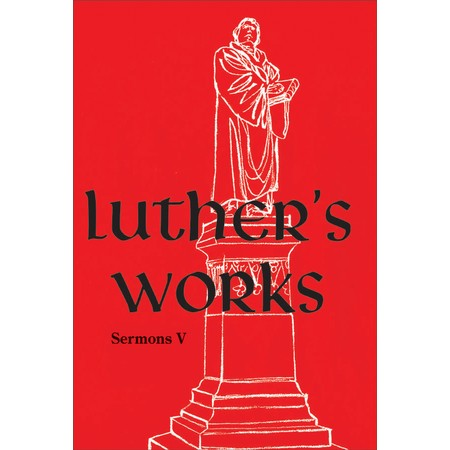 But Luther's sharp criticism must be understood in the context of his own theology and apocalyptic understanding, and set alongside his contemporary statements (often, indeed, within the same sermons) of satisfaction and hope. Although Luther discouraged and even ridiculed efforts (including those of his own friends) to predict the end of the world, he understood the history of the Church, from the time of the apostles to his own era, in view of the coming Last Day. Throughout history, the true Church, gathered around the preaching of the pure Gospel, had been and would always be opposed not only by enemies without but also by false preachers and heretics in its own midst. Indeed, the ferocity of such opposition and resistance, spurred on by the devil, was one of the marks of the true Church and of the pure doctrine. In light of such an understanding, a Reformation that was an unchallenged success would ipso facto have been a failure. "If you do go to the Sacrament, you go and come away again like a block of wood, or you let other people go to it and stay away yourself. So, too, you hear God's Word and that God's Son has died for you with no more devotion than if someone had said to you that the Turk had slain the sultan or the emperor had captured the king of France or some other tale, and you think it has no bearing on you, and you are as cold as ice and do not enkindle your heart nor take any thought for your soul or eternal life. That is what careless, wild people do, who take no thought for God." "Yea, indeed, and we, the best of Christians, do the same. We are able neither to possess this joy nor to bring it into our hearts, though we gladly would. It will not penetrate the heart, bone, and marrow; it does not savor and live; it does not comfort and gladden us as it should. The old Adam and our sinful nature do this; the sin, which still lurks within us, compels me and you so that we do not believe it." "Therefore St. Peter says in the Second Epistle, chapter 3 [:18):... "Grow in the grace and knowledge of our Lord and Savior Jesus Christ." Prepare yourselves, you Christians, so that you do not think: "We have learned and believe all there is to know about the catechism, Christ, the Sacrament, Baptism, and Absolution." You have just begun and are still very young students. Therefore, think about how you may increase and grow and always continue learning what it means that Christ died for your sakes, so that this does not remain on your tongue like foam or spittle but penetrates and enters the heart, so that it comforts and gladdens you." 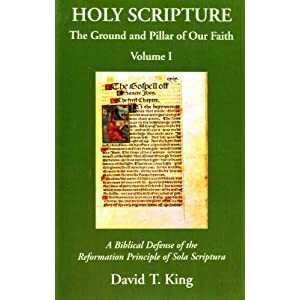 After all, Luther says, it is only the heretics, like the ancient Donatists or the modern Anabaptists, who imagine that individual Christians or the Christian Church as a whole can become entirely pure and perfect in this life. The lackluster faith and devotion of Evangelical Christians described by Luther thus becomes, in the context of his theology, a proof of the truth of Lutheran teaching over against Anabaptist claims. Luther's "disappointment" was as much a homiletical posture determined by the expectations of his theology as it was a matter of dispassionate observation.